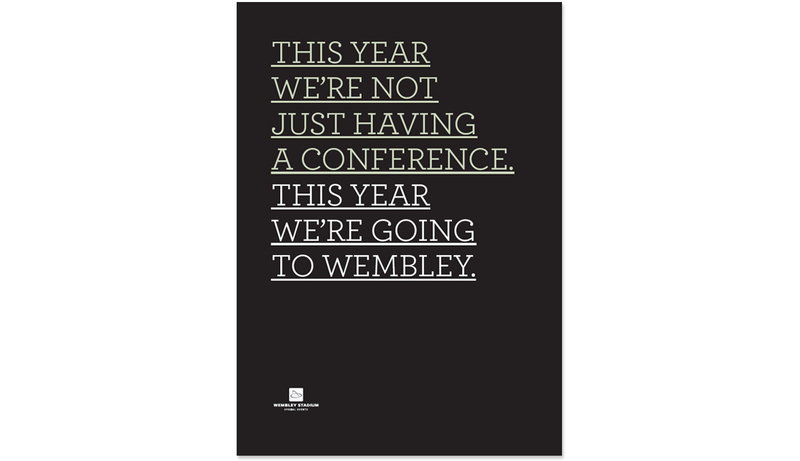 Poster and print campaign conveying the excitement of holding an event at one of the world's most iconic venues. Responsible for concepts, copywriting and creative direction. 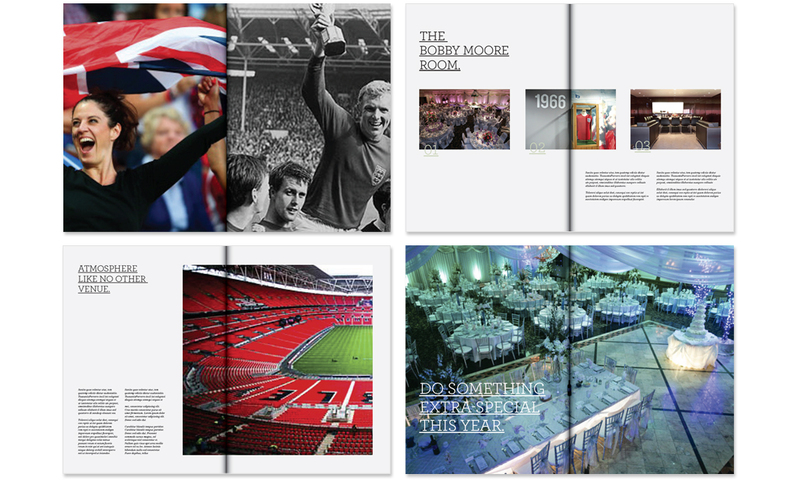 Wembley Special Events – concepts, copywriter and creative director. 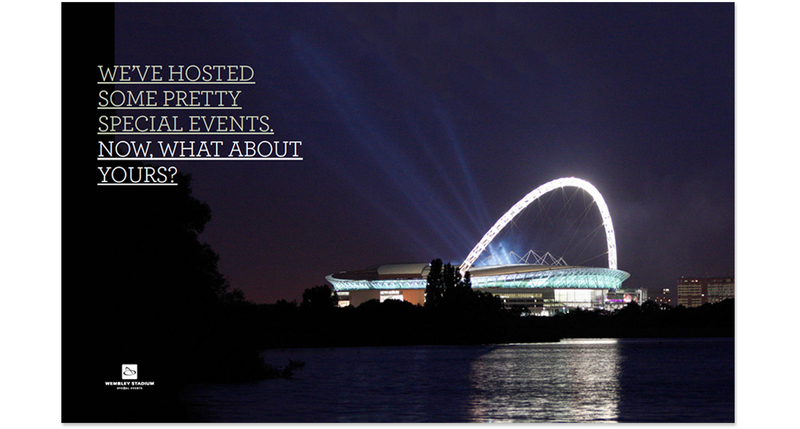 Wembley Special Events’ brand promise is simple, if you hold an event at Wembley, it’s going to be a very special event. 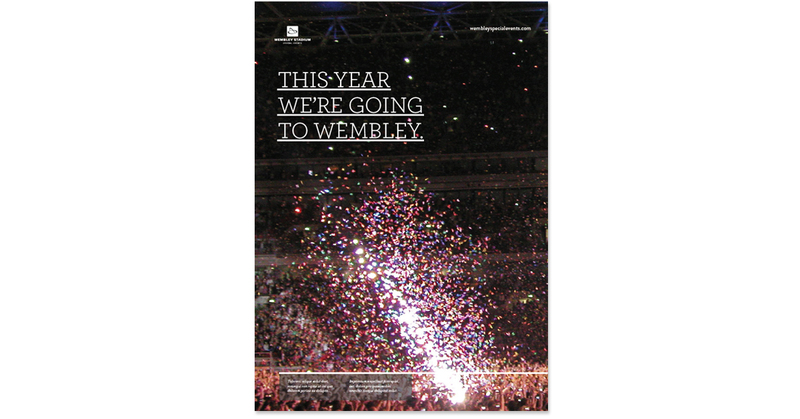 Press advertising, posters and corporate brochure. Concepts, copywriting and creative direction.